We’re Hear To Help You…Fail? 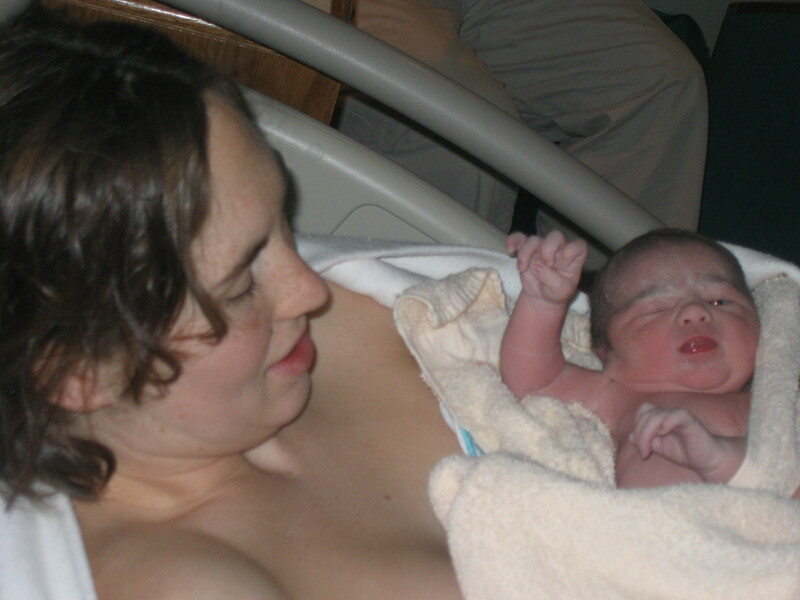 In Alberta, when a woman has a baby, a healthy beginnings nurse visits within twenty-four hours of the woman coming home. The nurse checks to be sure mom is healing and baby is feeding well and eliminating appropriately. In the first week of life a nurse calls and follows-up to be sure everything is going okay. That mom has no signs of infection and that baby is still feeding well, has no signs of illness or infection. At two to three weeks of age a nurse will again call to be sure everything is going well. For the first two months of life there is a dedicated hotline available for new parents to call with questions or concerns about mom or baby. When the nurses visit they answer any question the family has about caring for a new baby or helping mom heal. Some parents may need help learning to diaper, how to bathe, or other questions about the physical care of a baby. Some moms may need help learning to breastfeed. Some parents may have questions about sleep or even about how often to pick up a baby. For many parents these nurses are the first people to tell them how to parent. Unfortunately for some parents, these nurses also set them up for failure. Failure to successfully breastfeed and failure to confidently parent. Over the course of three babies I’ve had my fair share of these nurses and so far I’ve only met one that didn’t outright tell me I couldn’t breastfeed, or that what I was doing as a parent was wrong. For the purpose of this post I’m only going to mention my experience with the nurses this week. 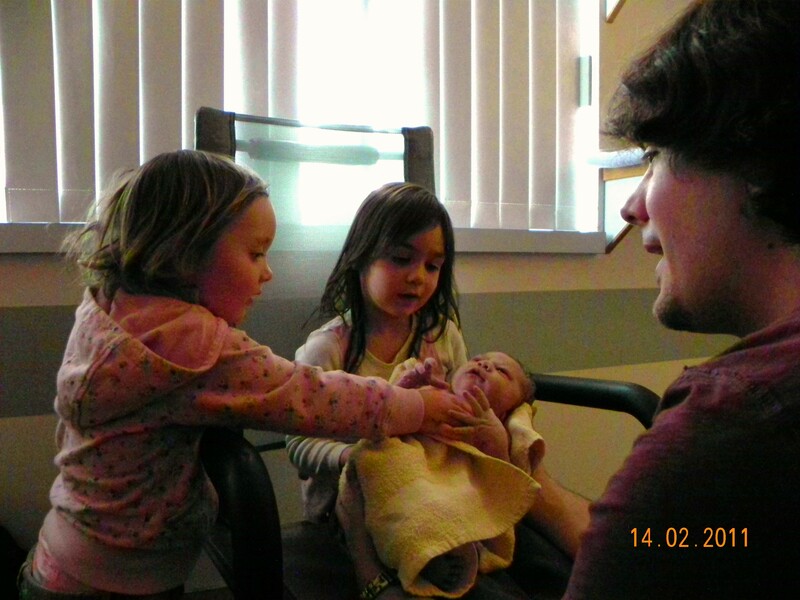 When our new bundle, Cordelia Rose, was roughly eighteen hours old the nurse called and made the appointment to come to our house that afternoon. The nurse came, did her assessment, asked if I had questions and left. She didn’t indicate that I couldn’t breastfed, she also never said anything about how we parent. Two days later I had a concern so I called the hotline number and spoke with a nurse. 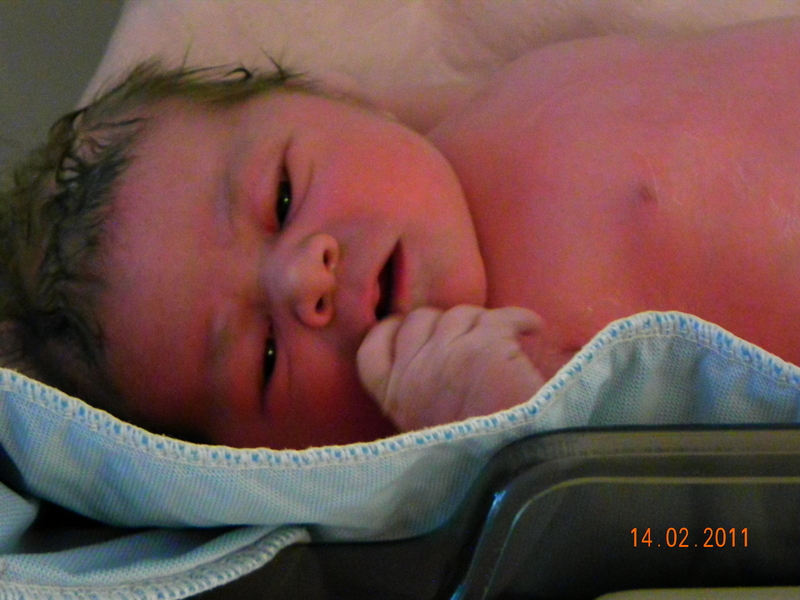 She asked many questions including how much Cordelia weighed, 8lbs 7oz. She then went on to tell me I needed to figure out what I was going to do, because a big baby like that would have a big appetite and by three months I wouldn’t be able to produce enough to keep up with her. Obviously she doesn’t realize that a mom’s supply meets her baby’s demand and unless there is an underlying concern a mother capable of feeding an 8lbs newborn will be capable of feeding the same baby at three months even if the baby weights 20+lbs. I’ve successfully breastfeed two babies. I know I don’t need to worry. I also know how the body works so I know that my body will continue to meet the demands of my baby whether she’s 8lbs, 20lbs, or 35lbs. Many new parents don’t know how the body works, they also don’t know they can successfully breastfeed. If a new mom were told she needed a backup plan because her body wouldn’t be able to keep up, then she’d likely stop breastfeeding at one of the first growth spurts. To her it might seem like her baby wasn’t getting enough, when in fact the more frequent nursing is the baby’s way of increasing the milk supply and doesn’t indicate a concern. The next day a different nurse called for the one week follow-up. She asked a few questions regarding eating, elimination, cord care and sleep. I explained that Cordelia nursed roughly every hour and a half, but since my milk had come in and she’d had a good feed she was actually taking her first 2.5 hour nap. The nurse then told me that it wasn’t healthy to let a baby sleep that long and we had to wake her and feed her. I was told all newborns needed to nurse every 2-3 hours around the clock. In essence this information is correct. However, I already told her how often Cordelia nursed all night and during the morning. A longer nap wasn’t a concern. She had more than enough wet diapers for the day, she was pooping, and she was actively sucking while at the breast. 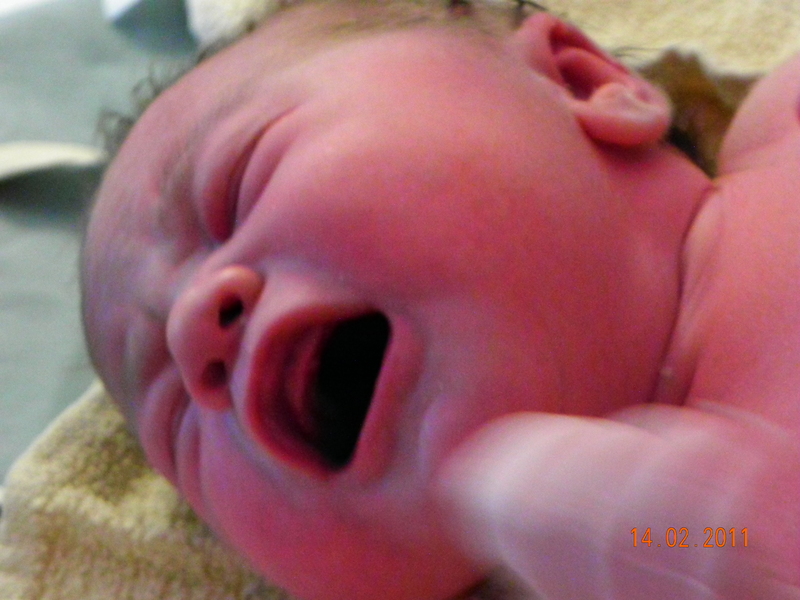 The nurse could have used the moment to reinforce the importance of adequate intake by explaining overall how much a baby should feed in a twenty-four hour period. She could have mentioned that sometimes a sleepy baby doesn’t mean a full baby and then explain how to tell the difference. Instead she told a new mother that what I was doing wasn’t good and I had to change what I was doing, or my baby would suffer. I have enough knowledge and enough experience to know that what my baby was doing was okay. I also know that I don’t have a sleepy baby. I have an alert baby, who until that point only took cat naps. However, many new moms don’t know how to tell the difference between a normal longer nap and a long period of sleep that would be a concern. If I were one of those moms, that nurse would have missed an important teaching moment. Instead of giving information that could be used to help the mother judge if a new situation was okay, the nurse took the power away from the mother by giving a rule that did not allow variance. A full baby either won’t nurse, or will spit out the milk. But a sleepy baby won’t nurse, even if hungry. A sick baby might not nurse. A sick baby might spit. The full and proper information would allow a mother to know if her baby were full and sleeping, or sleepy but needing to awaken, or if baby were sick. These nurses provide a valuable service, however for one reason or another many of them either provide inadequate information, or make uninformed comments that inhibit, rather than reinforce, breastfeeding and other positive parenting practices. It bothers me to think of all the things I’ve been told by these healthy beginnings nurses that do not foster a healthy beginning at all.